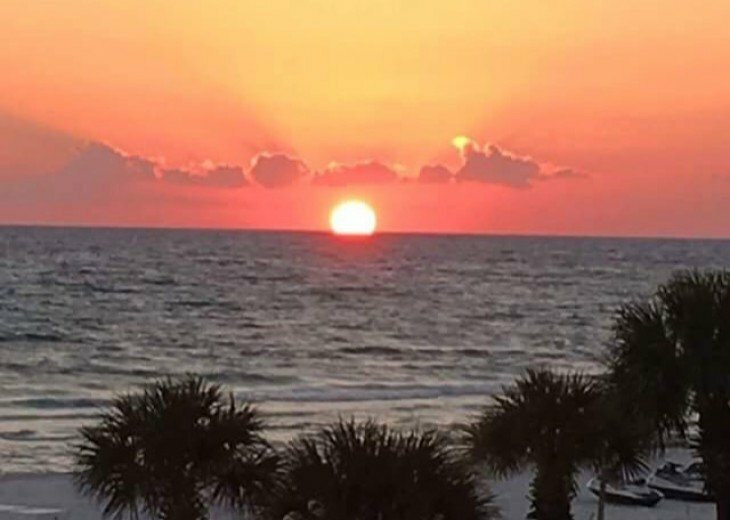 stunning views of ocean, balcony, full kitchen, WiFi, close to everything, parking is gulf -front in the gated resort with 24 hours security. The most amenities for kids and family. 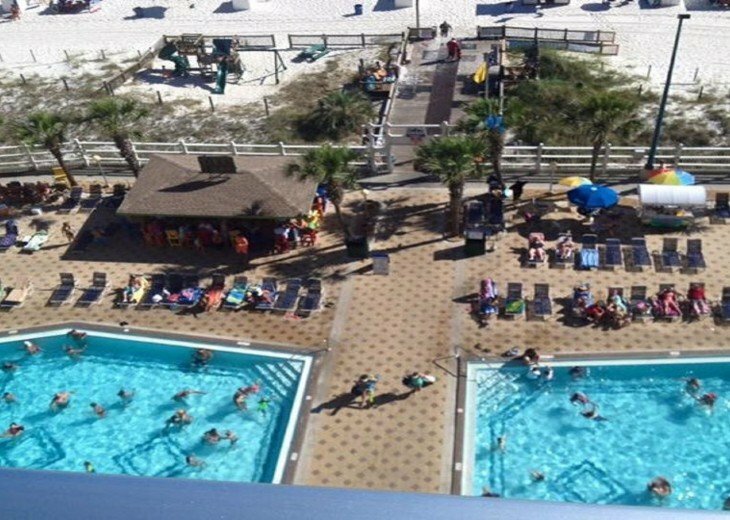 Kids activities, dive in movies by the pools, all kinds of rides & mini golf across the street from the resort. beach front gated resort with 24 hours security, close to everything, golfing, deep sea fishing, shopping, surfing, dining, swimming. 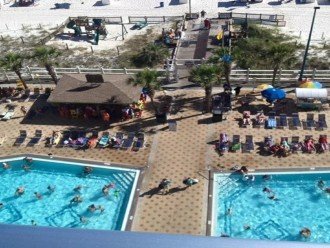 $600 refundable security deposit during spring break, $200 refundable security deposit otherwise. $300 for long term. $100 cancellation fees for all cancellation. No refund due to early departure for any reason. No refund of security deposit 60 days prior to check in for more than 10 days stay, 45 days otherwise. No refund of rentals 31 days prior to check in. I have been renting this condo for few years now, I love this place! It has the best views you could ever ask for and the owner is so awesome! She will go above and beyond to take care of you, she is the best!!! I love that I can sit on the balcony and watch my boys swim in the pools and still enjoy the ocean view! The condo has everything you need in it and couldn’t ask for more! It’s a gated property Which is awesome because no outsider can get in! It has 2 pools, hot tub, basketball court and really great and affordable restaurant and much more! I LOVE this place and will continue renting this condo! It’s a awesome place for kids to enjoy also, my boys love it! I will continue to rent this amazing condo for many years to come! Condo was nice but could have used some general maintenance repair. This condo was fabulous. I stayed at the Summit last year and this condo was much nicer than that one. There were slot of extra special touches and I plan to rent this unit again. Had a wonderful time. Loved the condo. Very clean and in order. Love working with Susan. She is very sweet and very dedicated to her clients . Can't wait to come back again! My family and I went the end of July through the first of August; we stayed a week. The Condo is very roomy and comfortable! 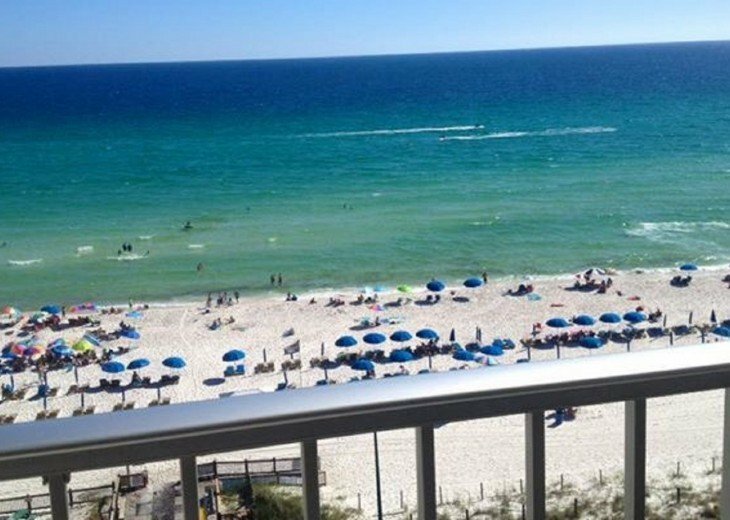 Perfect view with an awesome balcony overlooking the beach and the beautiful Gulf of Mexico!!! 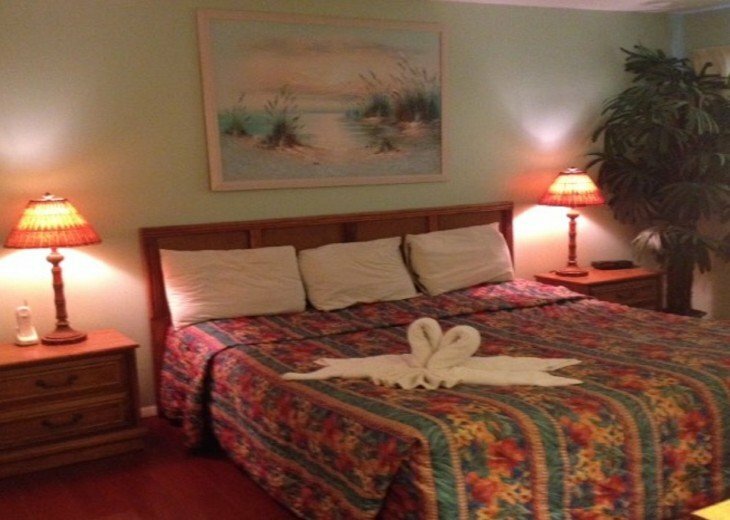 We got a great deal for beachfront accommodations and we will definitely be back! The Condo has dishes , silverware and towels, coffee maker, washer, dryer, oven etc!! We felt totally at home!!! The elevator was right across from us but it was not noisy. The beachfront view could have NOT been better; simply perfect!!! Waking up and drinking my coffee on the balcony was so perfect and the evening you can see the beautiful sunset just perfectly . The Condo was nicely decorated. I can not wait to go back again ASAP! I love this place and I would highly recommend! We always so look forward to staying in Suzie’s condos at the summit. The place has always been everything we wanted. The views are breathtaking! We have stayed there numerous times over the past eight years now Whenever we are ready for a relaxing vacation we always go down to the summit. A wonderful week with amazing views from the 10th floor in all directions. The comfort of a cozy fully stocked home away from home. The kitchen had actual good pans to cook with, plenty of silverware and dishes to use along with a toaster and blender! We mainly used the microwave and dishwasher (it’s vacation =relaxation)but it was nice to have the options. The decor is adorable throughout the condo. I loved the colors, mirrors, and designs. 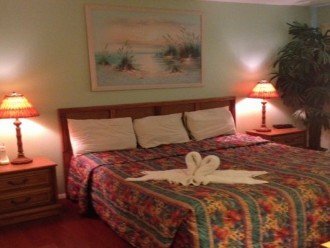 The bedroom set in master bedroom is absolutely adorable and perfect for a beach vacation.Susan Chen is an amazing wonderful lady! She will always be who I book through for Panama City Beach! I am so glad I found her! She is an honest and caring lady! Thank you for helping to make our mother-daughter trip before college a memorable one! A beautiful condo with a fantastic view . It's minutes away from everything with ample parking. Susan the owner was extremely professional and communicated every step which made our trip extremely easy and relaxing. I always stay with Susie!! I stay with Susie every year.. sometimes several times a year! 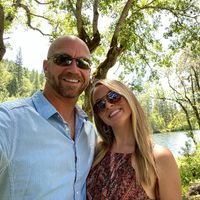 She has the best rates and is overall a joy to rent from! She takes care of her repeat customers for sure! Great location, great views, great condo!!! Can’t wait to go back in the fall!! Condo good. Great outlook from balcony. Condo had lots of things to do. Pool had aqua fitness classes 6 days a week. Owner dealt with any problems in a super fast way. ( the wind had blown the umbrella into the glide of balcony door making it unable for door to open. Before I had finished reading her response to email the gentleman was at the door to fix it). I would go again. So at first I was hesitant! But little did I know that’s the way things are done with many Florida rentals to keep cost down! Susie was so easy to work with her condo was easy to access key in locked box. She sent me all the info after payment was secured. I almost chose a different condo because I was so concerned but SO glad I didn’t. The condo is clean and home like feel. King bed twin bunks and pull out queen sleeper. It has a kitchen with everything in it dishes pans for stove microwave full-size refrigerator freezer and it even had a washer and dryer to wash towels and wet clothes. Also has two bathrooms which was great 10th floor perfect to be a big balcony with plenty of seating and tables two TVs which was awesome because my boys brought a PlayStation. Free Wi-Fi two huge pools indoor outdoor hot tub. Also had a tiki bar which was amazing and bikini bobe for the kids could get burgers. 3 bars walking distance and much more. Enjoy! You won’t regret those views. 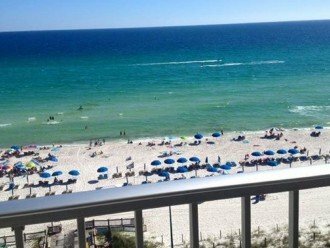 Took my 2 kids to the beach during the fall break, we stayed at Susan's beautiful ocean front condo. Our family had the blast, we are very happy with the condo and resort. Mostly Susan is wonderful, her condo is clean, fully equipped with stunning views and best price. We will come back again soon. thank you Susan Chen for making our beach trip affordable and memorable. 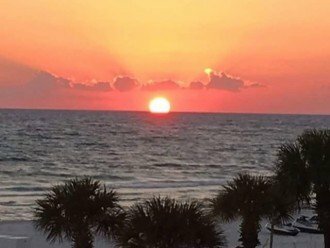 Name: Mary LeeStay: Oct 2017Took my 2 kids to the beach during the fall break, we stayed at Susan's beautiful ocean front condo. Our family had the blast, we are very happy with the condo and resort. Mostly Susan is wonderful, her condo is clean, fully equipped with stunning views and best price. We will come back again soon. thank you Susan Chen for making our beach trip affordable and memorable. 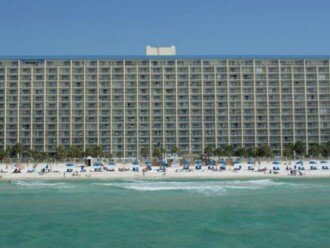 Our family have been renting Susan's beach front condos in PCB, FL for over 10 years, my kids love her condos. We spend 2 weeks there every year, usually 1 week in summer, 1 week in winter. Susan is very nice and professional, super easy to work with. Her condos are clean, very affordable, and close to everything. Mostly the views from her condos are stunning. We love Susan's condos and recommend her to everyone. The condo was much larger than I expected. The balcony offered a great view. Everything that I needed from cooking utensils to linen / towels was supplied. There was one minor problem with a bathroom faucet but the owner immediately had someone in to fix it. The building had large luggage carts to unload your car but they also had shopping carts to take groceries to your unit. It is an older building but well maintained as were the grounds. I would not hesitate staying again. 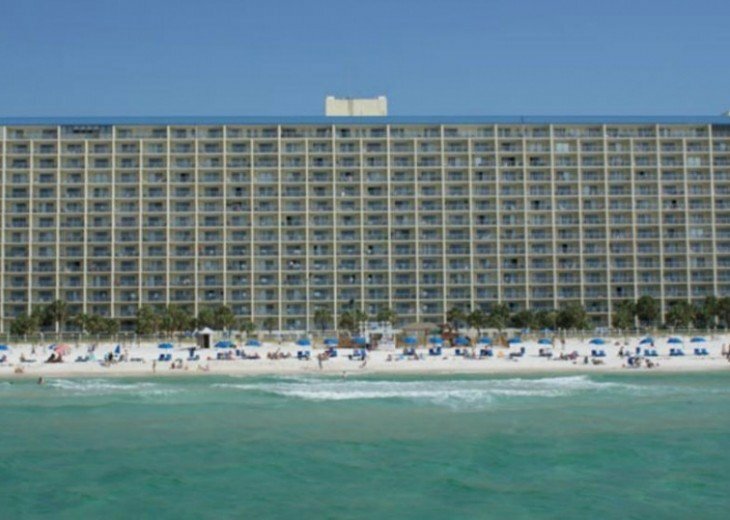 Stayed at Susan's beach front condo Summit 1414 spring break for 2 weeks. Our family loved it. condo is very clean with stunning view of the ocean. Susan is very nice and easy to work with, she offered us the best owner's rate fit our budget. We got our security deposit back within 2 weeks after our vacation. thanks a million Susan Chen to make our vacation memorable. took my daughters to the beach, girls had a blast. Love it & highly recommend to all. We had a great time! Loved the condo. We will be back. This was a nice, clean condo in a really convenient location, close to shopping and restaurants. The views were fantastic--PCB out the front window, and the beach out the back window. It was so nice to sit on the balcony watching the amazing sunsets. There is a nightclub right next door, so no need to dance and drive. However, we weren't bothered by the noise. I would definitely go back.